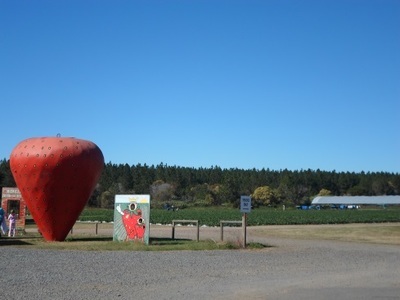 Rolin Farms is located just to the north of Brisbane and offers families the chance to pick a basket (or two) of strawberries to take home. It has no admission price and you just pay for what you pick, though there is a minimum of one kilogram. Getting out in the strawberry fields is a novelty that kids will surely love. You get to walk among the rows of plants and there are so many ripe strawberries that you actually have to start being picky about which ones you choose. Covered walkways means it's an activity that can be done in the rain too. The baskets that you are given to fill conveniently hold one kilogram of strawberries, which helps you manage how many you're collecting as everyone gets caught up in the picking. Getting one basket between a few people or your whole family will limit going overboard and you have to remember to not eat the strawberries while you pick them. 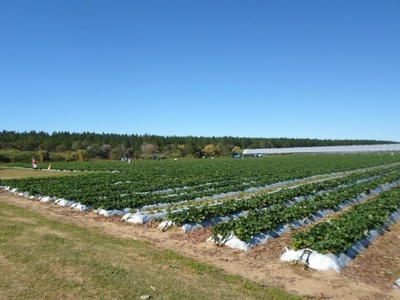 Though it's by far the main focus, picking strawberries is not all there is to the Rolin Farms experience. You can also have something to eat at the café, buy some strawberries products at the shop or your kids can have a play on the equipment. 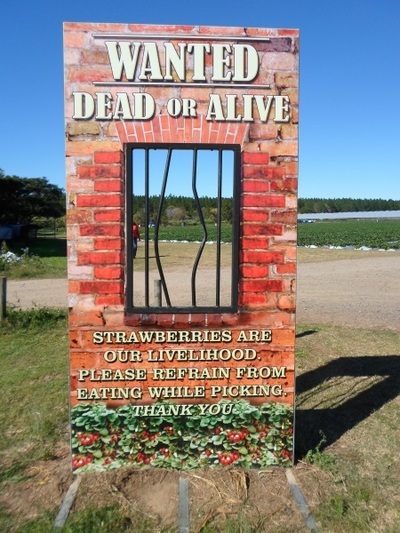 Memorable photos can even be taken under the large strawberry or behind frames like the WANTED DEAD OR ALIVE one seen below. All of these activities help to fill what would otherwise be a very quick experience (filling a basket doesn't take that long, really). You can find Rolin Farms just off the Bruce Highway (on Rutters Road in Elimbah) and it's easy to follow the signs. 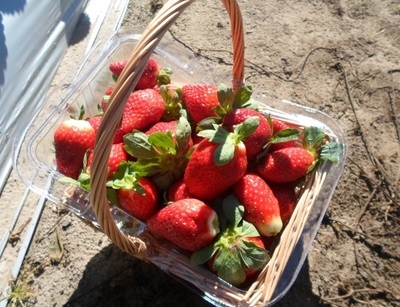 It's generally open for strawberry picking from the June holidays to the end of October each year. If you want to visit in October, it would be a good idea to call beforehand and make sure there are still strawberries left. 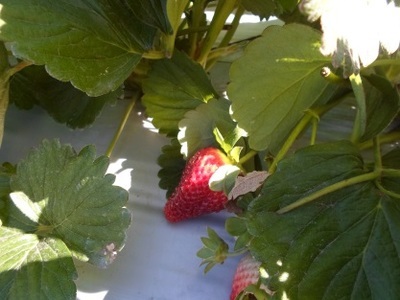 The price you will pay per kilogram of strawberries changes throughout this period and it's usually lower in the warmer months when there are more strawberries. You will be paying more than you will for shop-bought strawberries though, but you are paying for the experience after all.